Shepherd Offshore has a long-standing track record of receiving and supporting marine vessels and barges – providing bespoke solutions via our skilled marine teams to support our clients. We apply the same level of care and skill to all vessels and projects. We offer owners’ reliable advice and planning, as well as fast, efficient and quality personnel delivered on time – with a flexible and safety-oriented approach. Shepherd Offshore has over 1500m of quay frontage across two sites on the North Banks of the River Tyne – Neptune Energy Park and the Offshore Technology Park. Our frontage is supported by a flexible approach that offers short-term and long-term berths for a wide variety of vessels and barges. We update our berthing schedule on a regular basis, executing regular sounding and dredging. The River Tyne is accessible 365 days a year, 24 hours a day, and our deep-water quays have a maximum design depth of up to 9m below chart datum. We maintain our berth on a regular basis, ensuring it is operational throughout the year. We know that different vessels require different berthing arrangements. Our wide range of fenders and pontoons allows us to adapt our berth, accommodating loading and unloading from any angle. Our teams will communicate with you promptly so that our berthing schedule remains relevant, visual and up-to-date. Our dry dock is one of the largest in the UK. At 217m x 32m its marine operations are supported by heavy lift capabilities and services on each side. Pilotage services for vessels navigating within the Tyne River and docks are provided under the Pilotage Act 1987. A team of experienced Class 1 pilots, who are also designated as deputy harbour masters, operate the port’s three pilot boats. 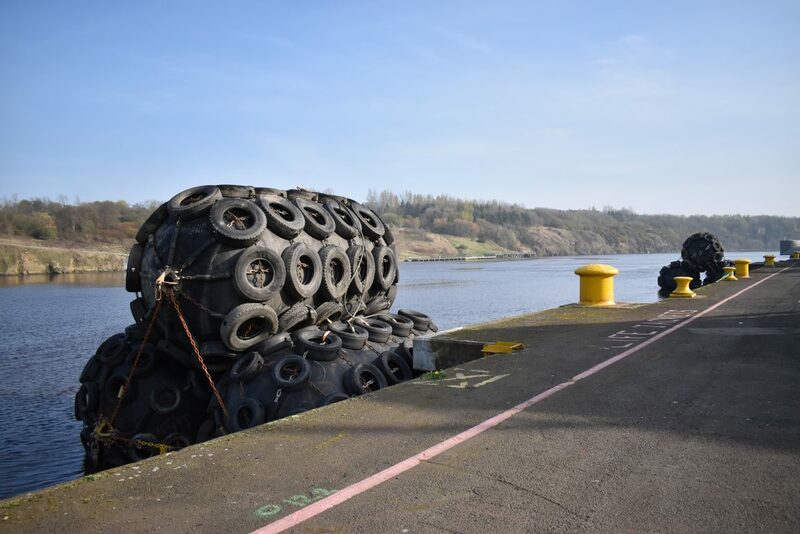 Mooring services are currently provided by Sunderland Foyboatmen’s Association, which is licensed by Port of Sunderland. Tariffs and further information can be obtained from the secretary of the association. Our Emergency Plan provides an effective response to potential serious incidents within the facilities, whether on board ships or within the land and buildings under its jurisdiction. We provide a high level of service, underpinned by strict health and safety application and training. This is paramount in our operations. The standards we apply reflect our commitment to our employees, clients and their customers. Our core principles ensure that when you work with Shepherd Offshore, you work with our highly trained and empowered workforce. We have a wide range of Yokhama fenders, which we can employ in various systems and adapt to our berth to allow for specific requirements, depending on your vessel and project. We have additional gangways to aid embarkation and disembarkation from vessels or barges. Our facility has a rigorous security strategy, supported by our partners and overseen by our in-house security officers and management team. If required, our facilities can accommodate your specific project requirements, with gangway security, patrols and outer security checks and controls to ensure ISPS compliance at all times. We have a highly skilled team with a wealth of experience in lashing and securing. To find out more, click here.